Want to be notified of new releases in hashier/MacFolket? 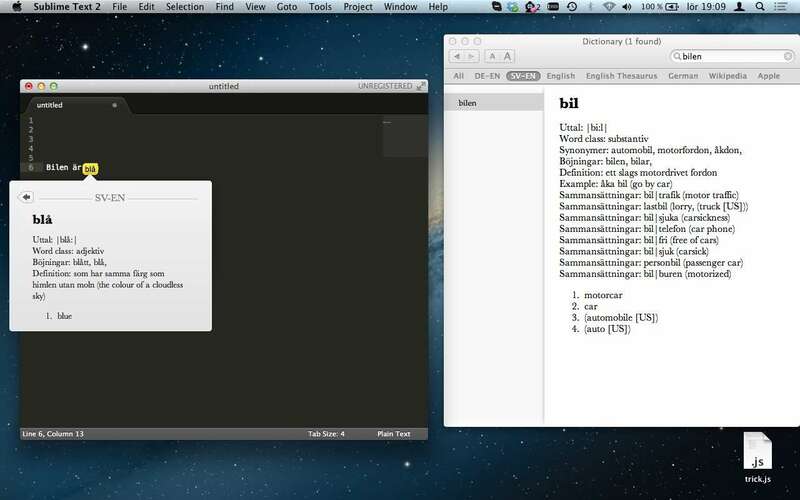 A Swedish - English dictionary for Mac OS X which is nicely integrated into the system. You can see a vieo of the installation process below. You can work around this problem by right clicking or Ctrl+clicking on the .pkg file and select "Open" from the context menu. On imore you can find pictures how to do it and even a second way. 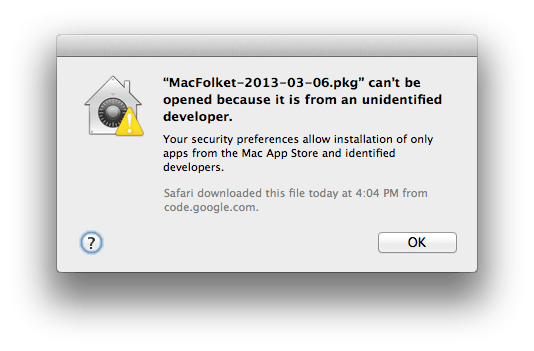 Only the first entry is displayed in pop-up mode instead of all (e.g. "boken" shows only "beech") but you will see all of them in dictionary.app. Philipp Brauner who build an English <-> German dictionary which I have used now for a couple of years. His plugin gave me the idea to build an English <-> Swedish one. You can find his English <-> German one here.